The Blue Lock-Up Solenoid has approximately 14 Ohms of resistance, as opposed to 3 Ohms of resistance on the Lock-Up solenoids of earlier units. We STRONGLY RECOMMEND checking the color of ALL Lock-Up Solenoids from 1997 & Up before ordering! 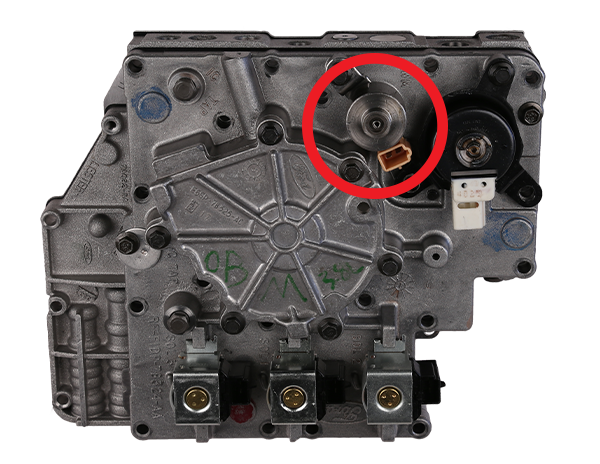 The '91 valve body has a square lockup solenoid. 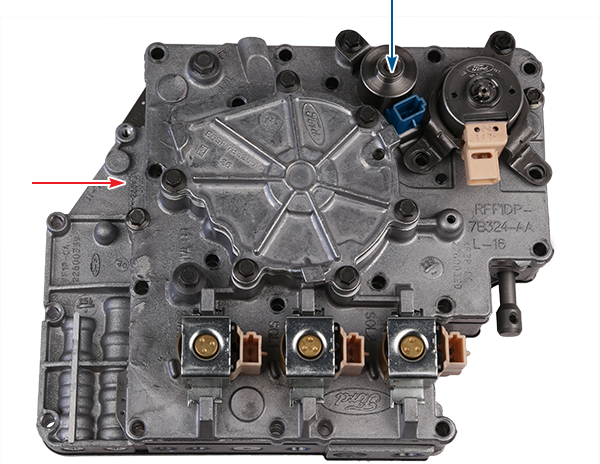 The '92 valve body has a round, PWM-type TCC solenoid. The red arrow indicates the rough forging number location. If it is XF or YF, order F085. The lockup solenoids have different resistance and can damage the trans axle processor if they are not matched correctly. Beginning in 1997 with Lincoln and midway through 1998 on other models, the lockup solenoid changes from tan to blue. The blue lockup solenoid has approximately 14 Ohms of resistance, as opposed to 3 Ohms of resistance on the lockup solenoids of earlier units. We STRONGLY RECOMMEND checking the color of ALL lockup solenoids from '97-later before ordering. 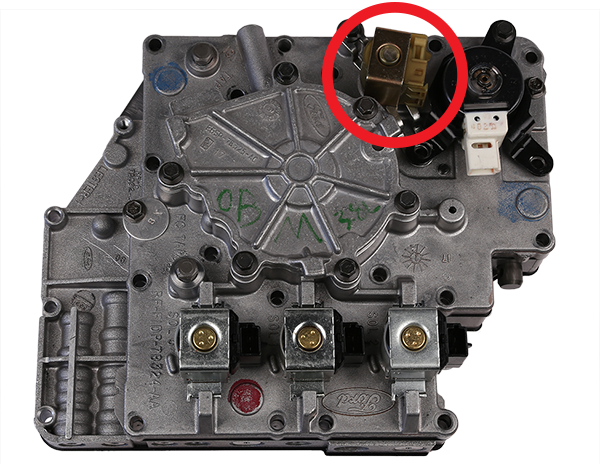 The blue arrow indicates the lockup solenoid location.